International cricket council announced the future tours of Pakistan for 2019 for Pakistani national men cricket team. Pakistani cricket team will host the tour of Australia in a home series to play the 5 ODIs. Pakistani cricket team will tour to England during May to play one off T20i and 5 ODIs. The most interesting and awaiting event of 2019 is ICC Cricket World cup 2018, which will be played during June and July 2019. Pakistani national team will play the matches against all international matches during the mega event. Pakistani cricket team will also host a home series of Sri Lanka in October and both teams will play two test matches. Pakistani cricket team will tour to Australia to play two test matches and three T20i matches during October – November. 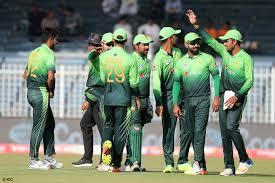 Pakistan will play three one day international matches and two T20i matches against Sri Lanka in the home series in December.